This month’s comedian is Diane Morgan and particularly her alter-ego Philomena Cunk who makes regular appearances on Charlie Brooker’s Weekly Wipe. Despite the fact that the show isn’t actually running at the moment, Diane Morgan has been relevant for me this month because I found a bit of her stand up online (although I couldn’t really find a lot). Charlie Brooker’s Weekly Wipe is very satirically dense and although this is important in comedy, it can often get a little too heavy. This is why characters like Philomena Cunk and Barry Shitpeas are so brilliant for the programme: they bring the silliness to a sometimes very depressing world. Philomena always has the most incredible lines that really catch you off guard, with her little mini-documentaries about The Internet or What Is Time? They are completely stupid, and the things she says aren’t intellectual in anyway; that’s why I love her. Diane manages to convey a beautiful silliness within five seconds of screen time which is reminiscent of many comic heroes such as Vic & Bob and Harry Hill. This mood can be shown through words, or even just a raise of the eyebrows, which is a skill not many have mastered (think, Paul Foot or Bill Bailey). Here is a clip from the latest series of Weekly Wipe, it is the first episode in the series of Philomena Cunk’s Moments of Wonder (‘Time’). For more information, visit Diane Morgan’s website and follow her on Twitter. I think Bobby is very brave which is so important if you want to be an influential comic. His act, his whole persona, is very different to other comics I know but there are hints of Paul Foot but then also more of your ‘common’ comedian. It’s a really interesting mix. His material isn’t too far-fetched from what a regular comedy audience may be expecting but his delivery is quirky and fast-paced which makes him slightly, almost uncomfortably different which is brilliant. 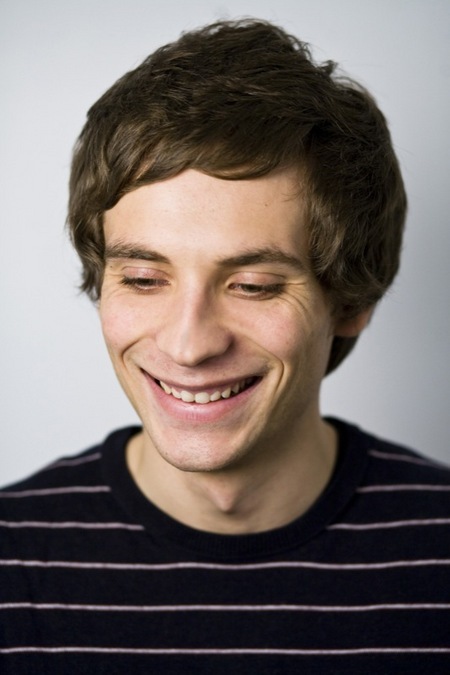 For example, in his short set for Russell Howard’s Good News in 2013 he mixes topical almost-one-liners about Justin Bieber with a dissection of why cats are suicidal. And then went on to expand on it. I think this is cool as he shocks with one statement then backtracks and adds detail, almost like the reverse of a joke. He is relatively young, having only been in the UK for a couple of years and being just 27 (I think). Bobby was adopted and has recently embarked on a campaign to find his biological family. His 2013 Edinburgh show: Obviously Adopted also covers this and I want to wish him the best of luck with that! His Twitter is here, if you’re interested and I recommend you check some of his stuff out as it is truly unique and very heart-warming! I’ve known who James is for quite a while but only seen him on the odd panel show here and there so this month I made a conscious effort to check out some of his work. I decided to do this after seeing his recent appearance on 8 Out of 10 Cats where he was absolutely hilarious- a complete weirdo, but a brilliant one. He really stood out during this episode as he seems to carry a strange kind of energy with him that is really refreshing to a panel show as they can get tedious very easily if the panel isn’t rotated regularly enough. I think I like James because he reminds me of Paul Foot, one of my all time favourite comedians, though of course he has his own quirks that make him so original. They both have brilliant confidence that is hidden behind an apparent shyness, so it is surprising when they come out with something either quite profound or very shocking. His presence on panel shows is a powerful one: he just needs to give a certain look and everyone will be laughing and I think that must be a really hard skill to master. James is young-looking, wide-eyed and innocent but also incredibly quick-witted and wise for his age. I thought his material about the apple in the orchard, featured in the clip below, was very clever yet didn’t feel self-indulgent in any way. With complicated material, many comics get caught up in the selfish side of it: of appearing clever or superior, but James doesn’t do this at all. He remains charmingly simple but we can see he has a sharp mind. I definitely recommend you check James Acaster out as he is gaining more and more fans with every passing week. His twitter is here so follow him if you’re into that twitter malarky. 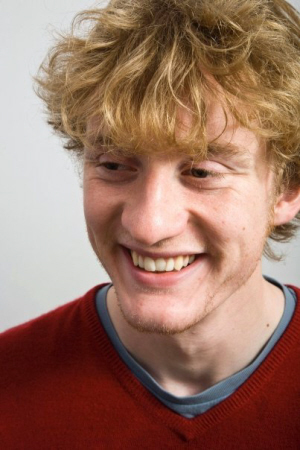 For more information, visit James Acaster’s website and follow him on Twitter.